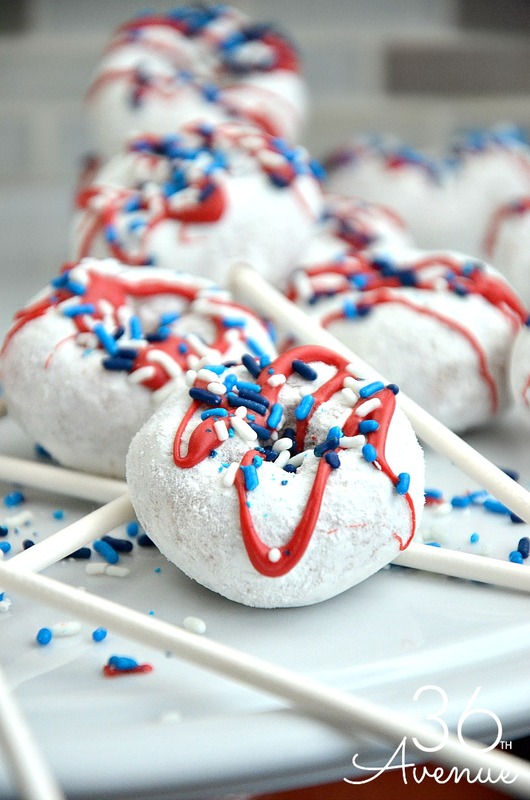 These festive doughnut pops are the perfect addition to your Fourth of July celebration! My kids helped me make them and they had so much fun! You can’t go wrong making these donuts. 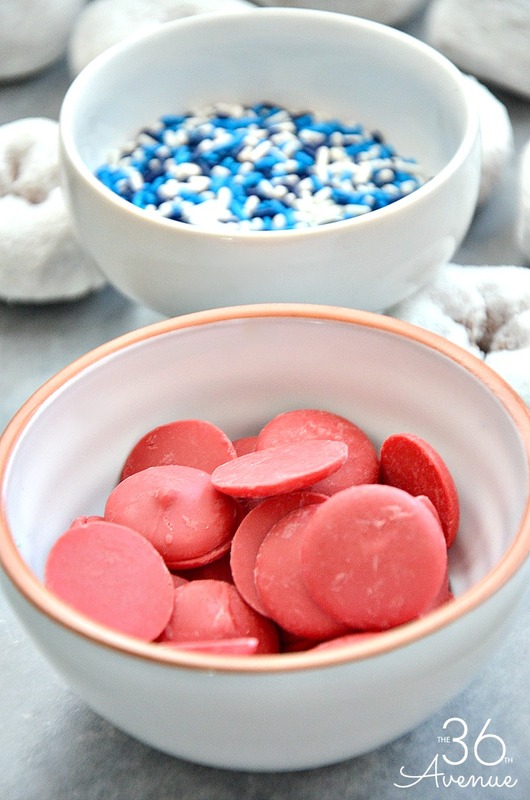 They are a treat and a kid activity at the same time! 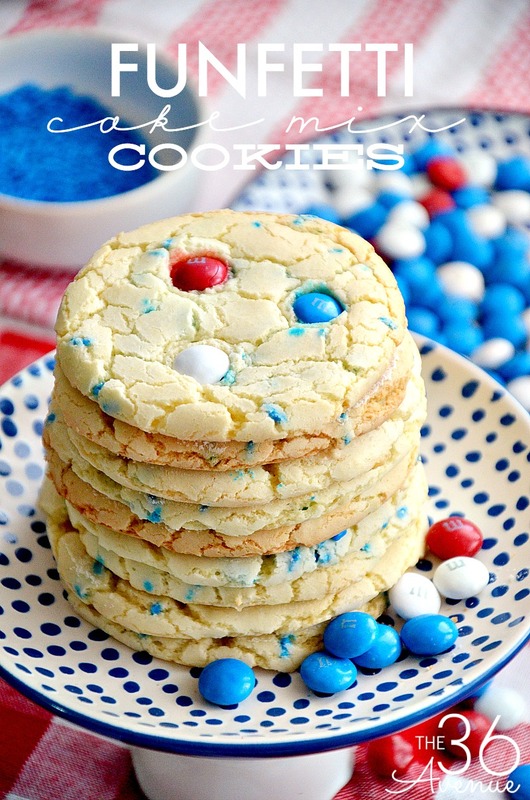 Make them for a patriotic snack or for a quick 4th of July breakfast… One way or another these are yummy and fun! The Fourth of July is one of my favorite holidays. Even though I wasn’t born here I feel this is home. My four beautiful children were born here. Here I got married and here I have experienced most of my adult life. I’m proud to be a part of this country. I’m grateful for every man and woman that day and night stand up for the freedom that I get to enjoy. Perhaps this is not the land of my fathers but surely it is the land of my children and therefore it’s mine. …and for me party and donuts go together! Place the donuts on top of wax paper. Follow the instruction on the bag to melt the Candy Melts. 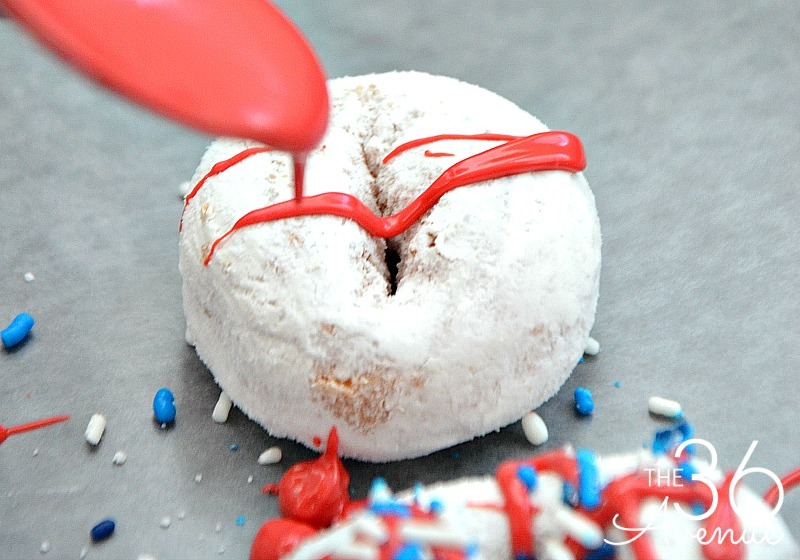 Use a spoon to drizzle the melted Candy Melts on top of the doughnuts. 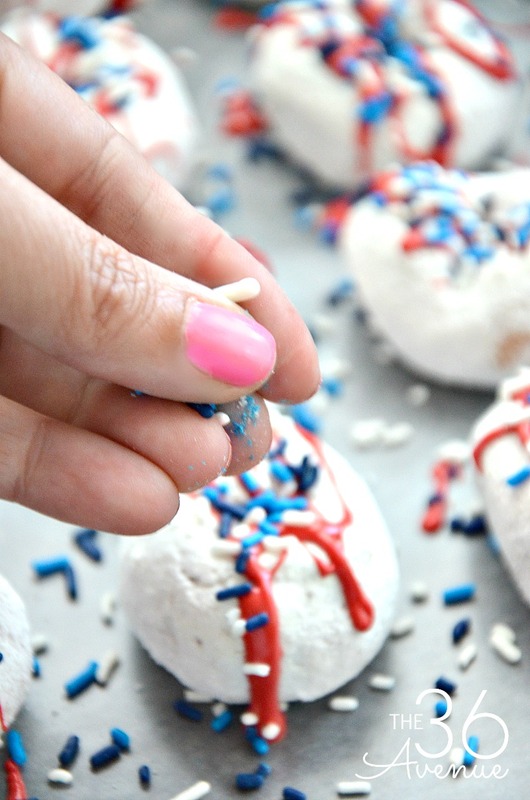 Right away sprinkle the donuts with blue sprinkles. Let the donuts dry and push the sticks into the donuts. Now they are ready to serve! 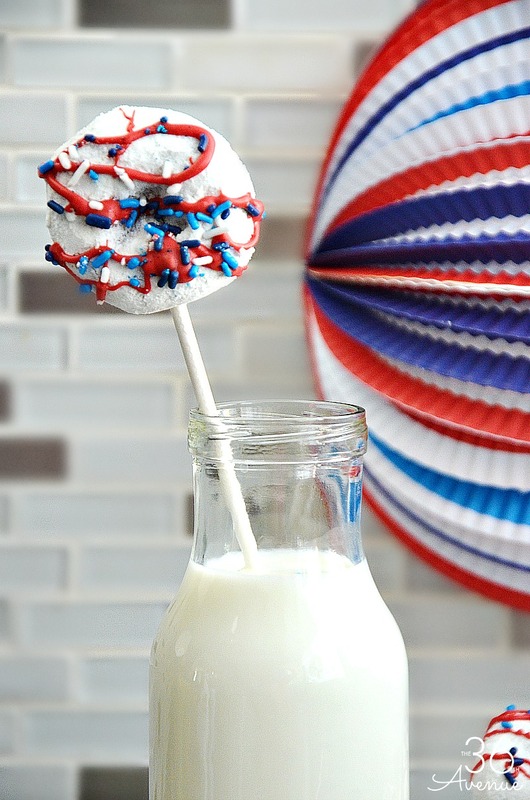 These festive donuts are perfect with a cup of cold milk! They are yummy and they look so cute! 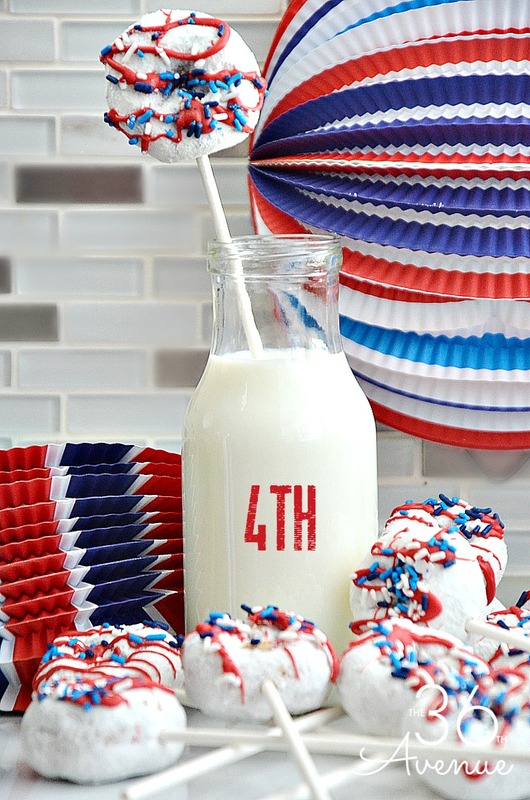 Here are some other Fourth of July Recipes that we love! The are easiest sugar cookies EVER! 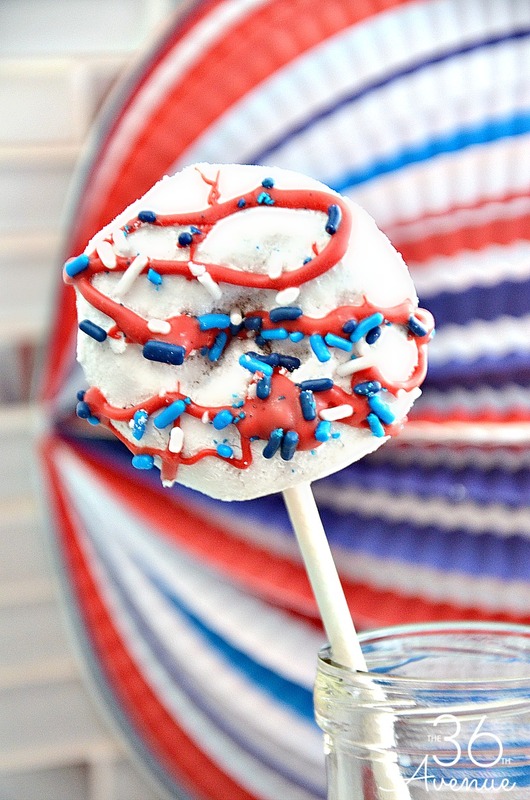 So there you have it… A ton of delicious and fun ways to celebrate Independence Day!